There’s a reason that gas furnaces have long been known as a staple when it comes to residential heating systems! Though there are plenty of ways to heat your home, from heat pumps to boilers and beyond, furnaces have always been a favorite when it comes to heating homes in Delaware and Maryland. In particular, gas furnaces are often popular with our customers because they’re efficient, affordable, and environmentally friendly—however, that’s only true if you get a high quality brand! 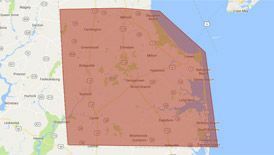 That’s why, as a Carrier Factory Authorized Dealer, we are proud to provide Carrier gas furnaces to our neighbors in Delaware and Maryland. To learn more about Carrier gas furnaces or to schedule an installation, repair, maintenance, or replacement appointment in the Delmarva area, call our team at Peninsula at 302-629-3001 or contact us online now! Why Choose a Carrier Gas Furnace to Heat Your Maryland or Delaware Home? Most homeowners have heard of Carrier products. Carrier offers high-quality HVAC products that are known for their energy efficiency and their effectiveness, no matter how big or small your house is. If you’re in the market for a new home heating system, a Carrier gas furnace is an excellent choice! One of the number one benefits we like to mention to our customers about Carrier gas furnaces is that these units are incredibly energy-efficient. This translates to much lower utility bills for you! It also means that your furnace is much better for the environment. All of these benefits and the same high level of performance in heating your home make Carrier gas furnaces one of our top-suggested heating solutions for your Delaware or Maryland family. Carrier offers a range of gas furnaces depending on the size of your home, the level of efficiency that you’re looking for, and your price range. All of their units are quiet and durable, and offer excellent heating capabilities to stand up to the chilly Delmarva winter season. If you’re looking to install a Carrier gas furnace in your home, we recommend choosing Peninsula for the job. We’ve been installing gas furnaces for years, and we’ll get the job done as quickly as possible to keep your family comfortably warm all winter long. Plus, we can advise you on the brand, size and efficiency rating that will keep you the most comfortable at the lowest operating cost possible. Not sure which Carrier gas furnace is right for you? Call the experts at Peninsula at 302-629-3001 to help you figure out which unit will be the best fit for your needs, or contact us online now. If you’re looking for an energy efficient heating option for your home, Carrier offers a variety of gas furnace options that will help you save both energy and money when it comes to keeping your Delaware or Maryland home warm this winter. Infinity® Series gas furnaces – These furnaces operate quietly and perform at a high efficiency. This series includes Carrier’s Comfort Fan™ technology, which gives you and your family more control over your family’s comfort levels and energy use. Whether you’re looking for a condensing furnace or a non-condensing model, this series offers both, along with a host of other advanced features. Performance™ Series gas furnaces – This series is made up of a variety of furnaces that are easy to install and can fit a variety of needs. If you’re looking for energy savings, you can operate these furnaces in “Low” mode up to 90 percent of the time to save on energy bills will keeping your home warm and comfortable. Comfort™ Series gas furnaces – This option is budget friendly and still extremely effective in heating your home. These models convert 95 percent of the energy they use into heat, which means they’re incredibly efficient. These units come with a fixed-speed blower motor and single-stage operation, as well as a 10-year limited warranty. Learn more about Carrier gas furnaces, or contact Peninsula today at 302-629-3001 to schedule your installation appointment! If you’re experiencing any of these problems, it’s time to schedule gas furnace repair service with our team at Peninsula! If it’s an emergency, call us at 302-629-3001 for 24-hour furnace repair service anytime, day or night. The best way to avoid gas furnace breakdowns is by scheduling regular preventative maintenance appointments. You wouldn’t let your car go without regular tune-ups, so why would you let your Carrier gas furnace go without annual maintenance appointments? Your furnace is a big investment, and protecting that investment is important. Regular tune-ups can help extend the life of your unit and ensure that it’s running properly, which saves you money in the long run. To schedule a maintenance appointment for your Carrier gas furnace, call Peninsula at 302-629-3001 or contact us online! 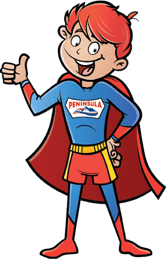 Call Peninsula for All of Your Carrier Gas Furnace Needs! Whether you’re looking to install a new Carrier gas furnace or to schedule repair or maintenance services for a unit you already own, our team at Peninsula is here to help. Call us at 302-629-3001 or contact us online now for all of your Carrier gas furnace needs!